As today 1st October, 2018 marks the 58 years of Nigeria independence from the British Colonial Masters. MTN Nigeria is giving out 200% Promo bonus on all their Data subscriptions. Happy Independence day wishes from Trickvile Inc. 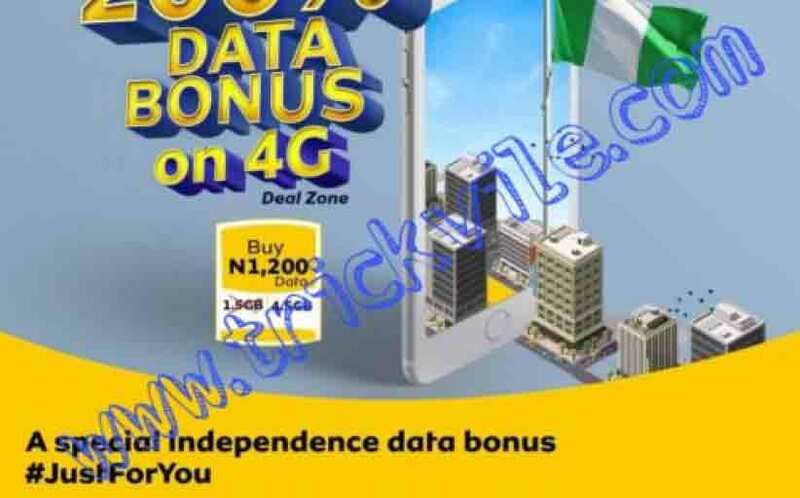 NOTE: The Update reaching us is that this MTN 200% Independence data Promo Bonus is only Available for MTN 4G SIM. To get the MTN free independence data bonus, Dial *131*1# to get access to this free bonus.